Just Few weeks Davido signed in to serve his father's land, the internet has experienced first of its kind order of attention from well meaning Nigerians and some have dished out in what seems like a battle of matchless quality amongst the two serving corps members. 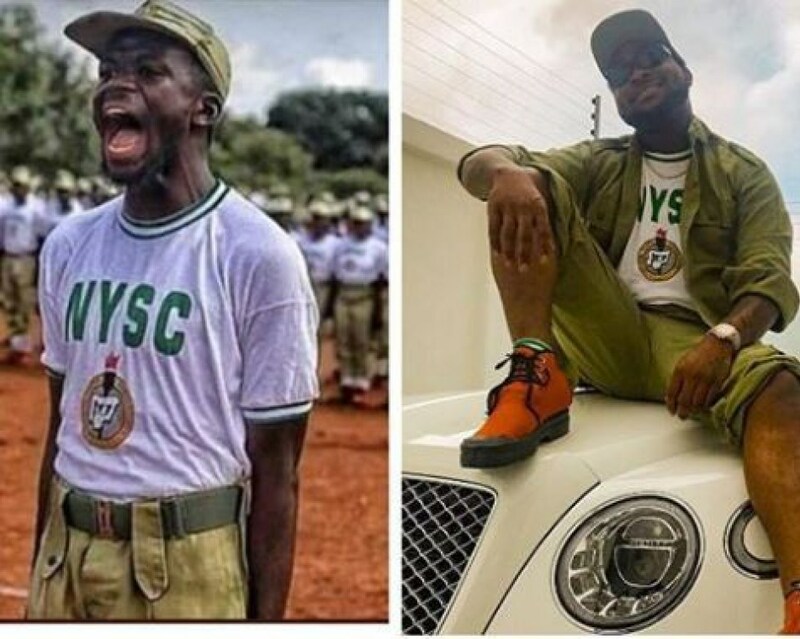 As you can see below, is a photo of two serving Corp members, one is truly serving, the other Davido, seems relaxed sitting like someone with little or no worries . Well you'll agree with me that no two fingers are the same and not everyone was born with a silver spoon and that’s exactly what this picture portrays, two corps member but different status.